It seems that in Europe, especially, that ebb tide has continued unabated, has perhaps even accelerated, since the publication of Arnold’s famous poem. This course will examine the nature of that ebbing, identify possible reasons for it, and propose Christian responses, healing ones, we believe, to the physical, psychic and spiritual injuries of the past century and a half. The great question of our times is whether there is transcendent meaning in the universe, some intention operating in cosmic and human affairs, and whether such an intention is at least partially discoverable. We may see “through a glass darkly,” but we are not blind, and what we see points us in the direction of hope. What follows is the route we will follow in our brief excursion into contemporary European though as revealed in a necessarily limited selection of representative works of literature. Part of the teaching style of Professor Jim Hills is for the involvement of the students in the learning process. Here Olivia Andvik is lecturing to the class about the strategies used by the Nazi Regime to eradicate the Jewish race. 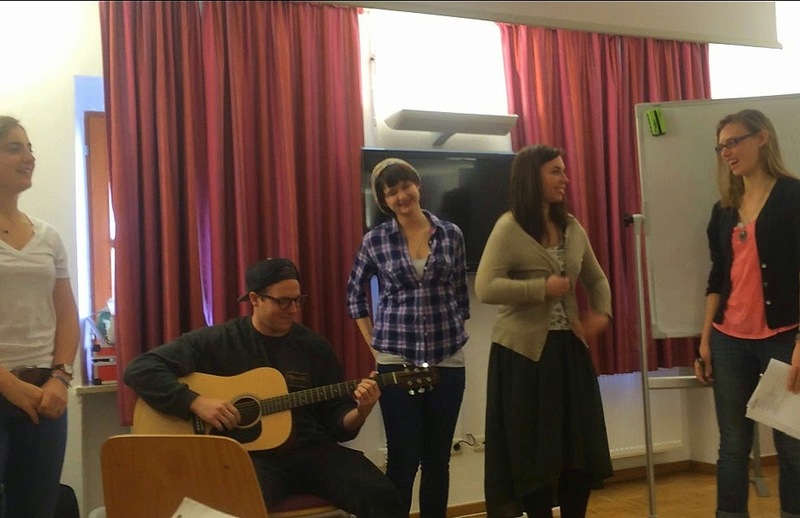 This student group chose to using performing arts to help sink in the information they deemed the most essential to understanding the happenings of the Wannsee Conference. Here Jim Hills lectures on human nature and the human condition as defined in scripture. 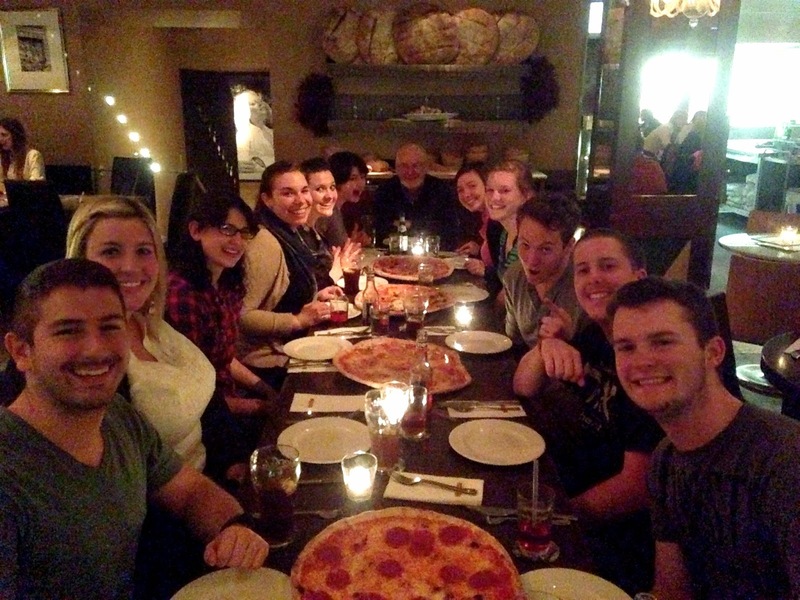 After two hard weeks of "jam-packed" learning, Professor Hills treated the class to late night pizza. Here at the local pizza shop in Regensburg there was a very cheerful celebration for the strong finish of the class.